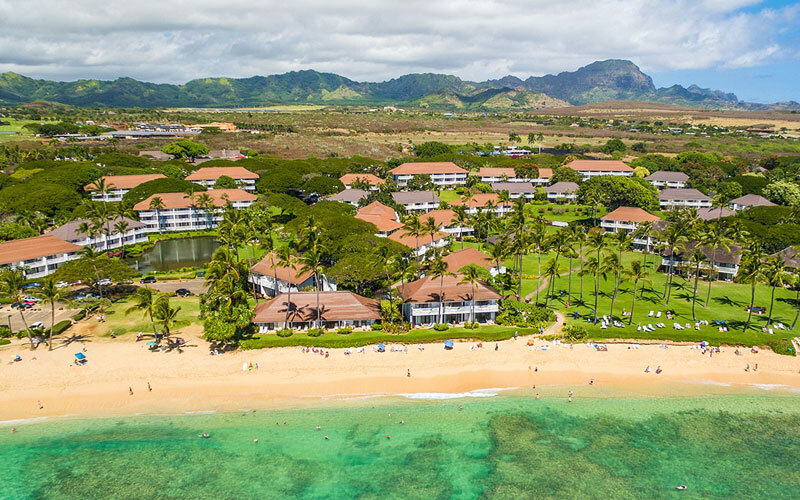 Hawaiian hospitality is renowned, and no place more so than at Kiahuna Plantation Resort. Kiahuna Plantation Resort is unique, as it combines a beautiful 35 acre garden setting, elegant plantation style architecture, and the best swimming beach in Poipu. It is actually the only condo resort in Poipu located right on the beach. The low rise plantation architecture evokes an era in Hawaii when hotels were few and the pace of life considerably slower. With fully equipped kitchens and on site barbecues, you can enjoy leisurely meals in your dining room or on your lanai. But, with a number of great restaurants within walking distance, including the Plantation Gardens Restaurant on the property, eating out is always a tempting option too. It is no surprise that so many guests come back year after year, making Kiahuna Plantation their home away from home.